Dr. Harley's blockbuster book "His Needs, Her Needs" has helped more than a million couples meet each other's needs and fall in love all over again. But that's only part of what makes a spectacular marriage, according to Harley. To stay in love, couples must protect each other and the love they've created. Harley fans have already been introduced to the Love Bank, emotional needs, Love Busters, and fair negotiation. So how do these key concepts work together to strengthen marriages? 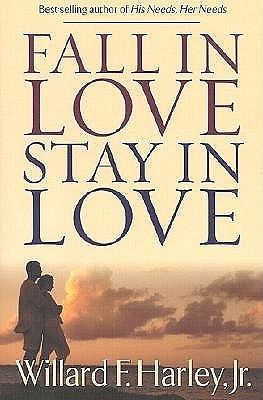 "Fall in Love, Stay in Love" has the answer--a complete, step-by-step overview that will leave fans saying "aha " and new readers ready for more from this respected author. In his new book, Harley promises that if couples are willing to form habits that create love and control instincts that destroy it, they can have the love-filled marriages they've always wanted. Then he sits down with readers to guide them through his tried and proven plan. With profound insights, probing questions, and practical action steps, the man who has helped save scores of marriages leads readers down the road to a love that lasts a lifetime.